I spent Friday after work taking in some of Melbourne's Christmas displays (and navigating the maddening crowds). My favourite display is again Gingerbread Village, located at City Gallery next to Melbourne Town Hall in Swanston Street. 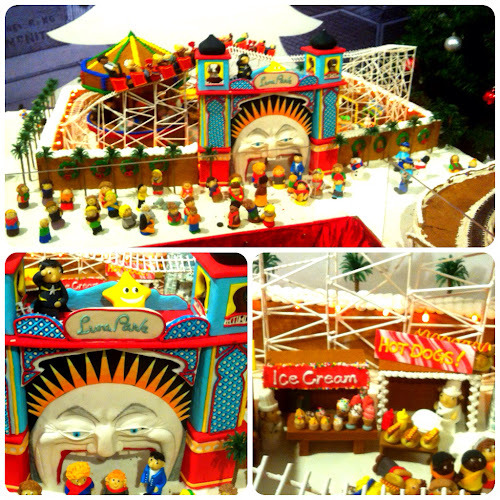 The display is made by Melbourne Epicure. 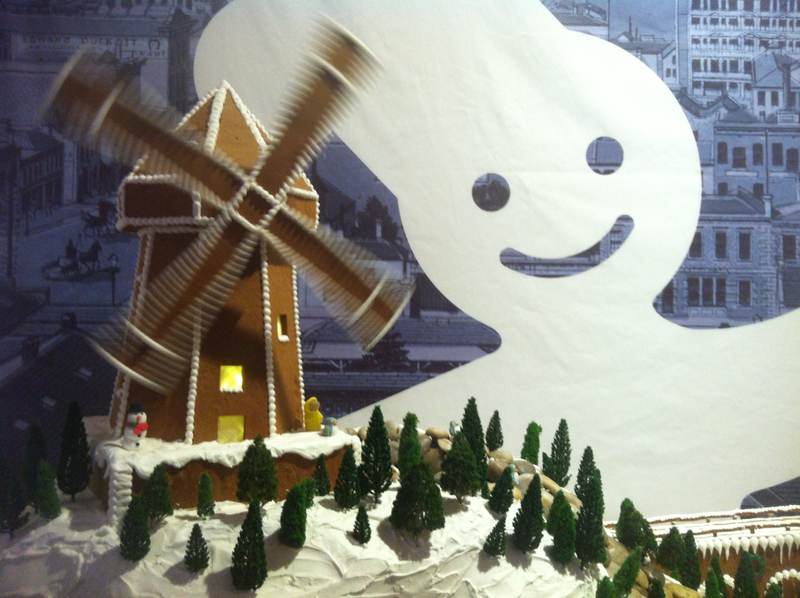 It is a delightful and intricate display of gingerbread and icing, recreating snowy scenes of Melbourne. I love the stunning detail - the people, the market stalls, the landmarks (including moving parts, running water and lighting), but even more so, I love the shrieks of delight it brings out of the little children (and many adults) who visit. It is magic. It has some features similar to last year, however the AFL grand final match at the MCG has been recreated to showcase this year's game. My favourite feature was Luna Park, with its bigmouth entrance, rickety looking roller coaster and fairground food stalls. If you have children, do take them to visit, and relish their gasps, laughs and shrieks of delight. And if you don't have children, go anyway. You'll love it! 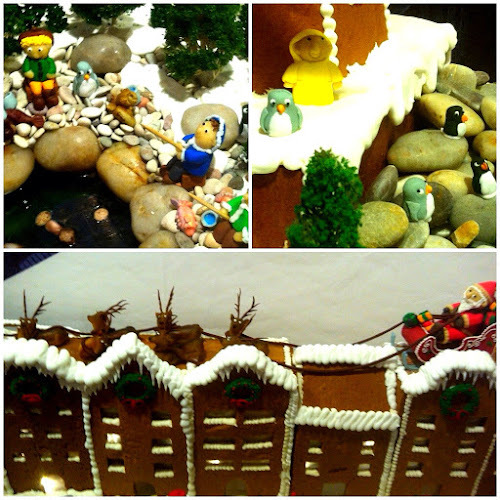 Gingerbread Village is open from 9.00 am until 5.00 pm every day until 24 December. Entry is free but you can donate to the Starlight Foundation and hang a little gingerbread man on the tree. 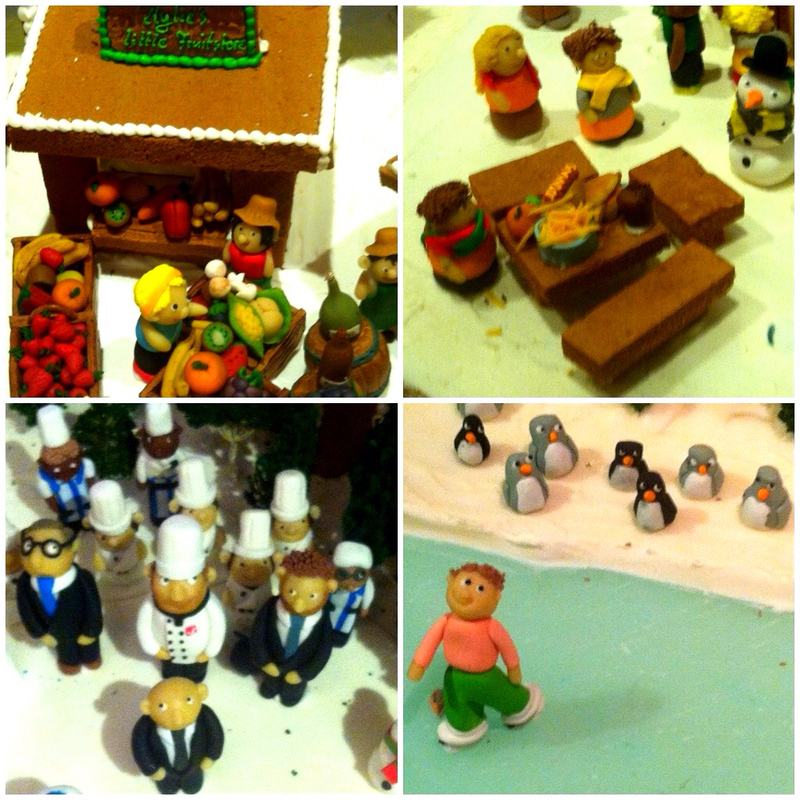 Follow the Gingerbread Village Facebook page here.